Ever wished that you could change how your WordPress site functions based on a user’s location? It’s a big wide world out there and people from different locations don’t always want/need the same experience on your site. Geotargeting WP is a suite of 5 plugins that change that lets you add geotargeting to your WordPress site in all kinds of ways. Geo Redirects – redirect visitors based on their location. Geo Links – cloak your affiliate links and send people to different destinations based on location. Geo Blocker – block access to your site based on location. In this post, you’ll learn what all you can do with these plugins. How Does Geotargeting WP Work? There are two core parts to Geotargeting WP. Geo Flags – display a visitor’s local country flag. The second part is the API service, which is what helps you actually figure out where a user is located. In order to understand a user’s location, you need a way to turn their IP address into a physical location. That’s what the API service does! Once you accurately figure out where a visitor is located, the plugins help you apply that knowledge in all kinds of useful ways. You can also create your own custom “regions” that consist of any number of locations, which helps you quickly target relevant location groups without the need to manually add each location every time. And if you want, you’re also able to use your own locally hosted IP database, like MaxMind or IP2Location. Geotargeting Pro has the broadest functionality of all the Geotargeting WP plugins. Displaying targeted ads based on a user’s location, either in content or in your sidebar. Including location-targeted messages inside the post content. Creating separate navigation menus for different locations. If a user is from Germany AND not logged-in, then redirect them. If a user is from Germany AND visits yoursite.com/special-offer, then redirect them. 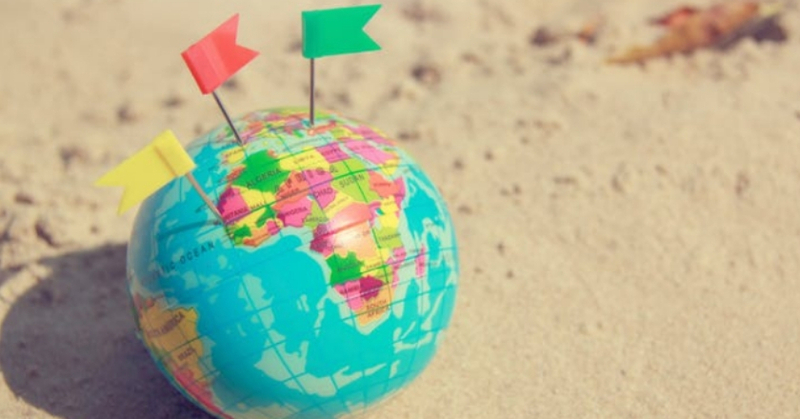 Geo Redirects also lets you get creative with where you send visitors. You can send all the targeted people to a single static destination. Or, you can use dynamic placeholders to send them to a different spot based on their location or the URL that they’re trying to visit. This latter method is especially helpful for multilingual sites because it lets you redirect them to the same piece of content, just in a different language. Geo Links is kind of like Geo Redirects…but for cloaked links in your content. That is, from one link, it lets you send users to different destination URLs based on their location. It’s most useful for geotargeting affiliate links to ensure that you don’t miss out on commissions because you sent people to the wrong place. First, you set up a default base link slug. For example, yoursite.com/recommends/slidedeck redirects to slidedeck.com. This is where visitors will be sent unless they are from a targeted location. Geo Blocker helps you restrict access to your WordPress site based on geolocation. Whereas Geotargeting Pro is more focused on restricting individual pieces of content, Geo Blocker makes it easy to restrict large portions of your site. Beyond that, you can also create a custom message to show to users who aren’t authorized to see the content. And you can also exclude search engines so that you don’t hurt your site’s SEO. Finally, Geo Flags is the most simple plugin in the Geotargeting WP family. It helps you display the country flag for each visitor’s location. You can easily insert different-sized country flags anywhere on your site using a simple shortcode. How Much Does Geotargeting WP Cost? All of the Geotargeting WP plugins are free. You only pay based on your usage of the targeting API. Each time you request a visitor’s location, that counts as one request. Note – that does not mean that each page view is a request. Geotargeting WP can cache the location of a visitor. So if a visitor keeps browsing different parts of your site, that will not count as additional requests. Additionally, only visitors who actually use the geotargeting feature count – not every visitor to your site. For example, if you only use geotargeting on a single landing page, only visitors to that specific landing page will count as a request. Start Geotargeting Your WordPress Site Today! If you want to geotarget your WordPress site, the Geotargeting WP family of plugins is your one-stop shop. You can pick and choose exactly which plugins you want to use based on the functionality that you need. Start enjoying a more geotargeted WordPress site today!